Our platform shows you the important keywords that you should be focusing on to improve the organic downloads of your app. 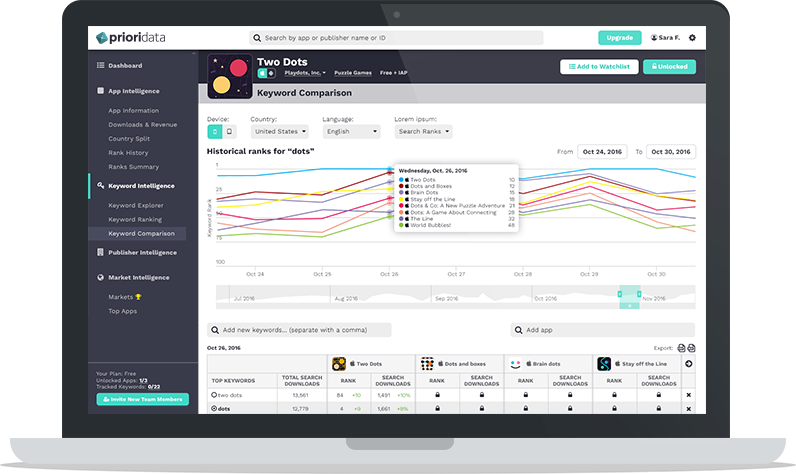 Priori's Keyword Intelligence offers straightforward and robust tool for App Store Optimization. This tool is the perfect way to improve competitor analyses and to ensure you have left no stone unturned in your app marketing strategy. 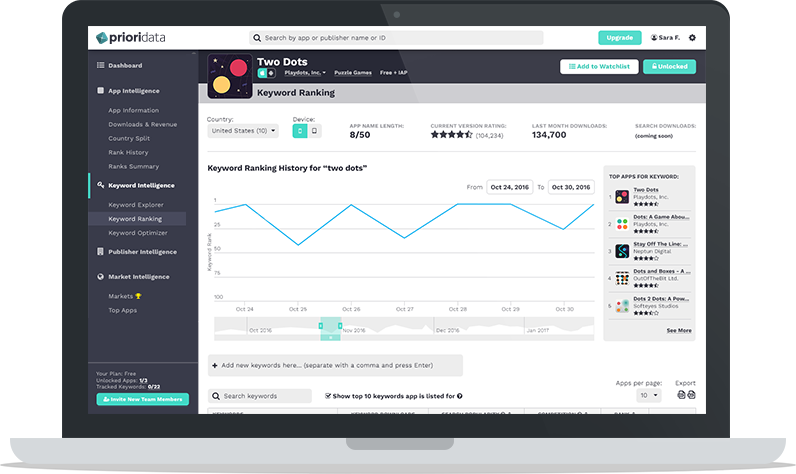 On its own, Priori Data Keyword Intelligence allows you to make smarter decisions with your ASO strategy, leading to more organic downloads. Combined with Keyword Intelligence, Priori Data App Intelligence gives you a comprehensive suite of tools to effectively compete in your critical markets. By adding Priori Data Market Intelligence, you can look beyond your direct competitors to understand broader trends and opportunities in the global app economy. 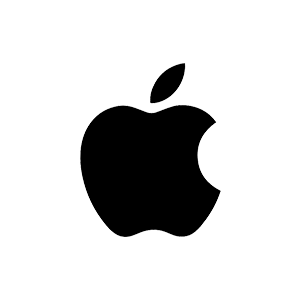 Purchaseable as an add on to our App and Market Intelligence plans. 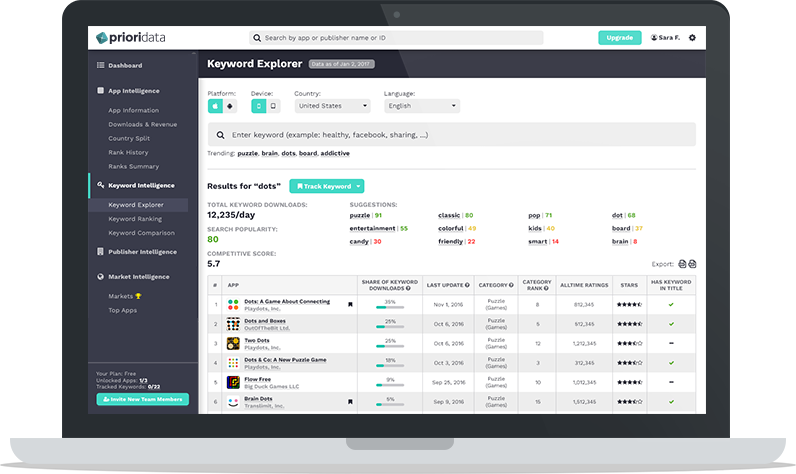 Request a demo to learn more about Keyword Intelligence or any other product.